COLORFLY, an independent subsidiary of the COLORFUL Group (CFG) and professional manufacturer of world-class HiFi portable players is proud to introduce the latest addition to its growing line of HiFi products. 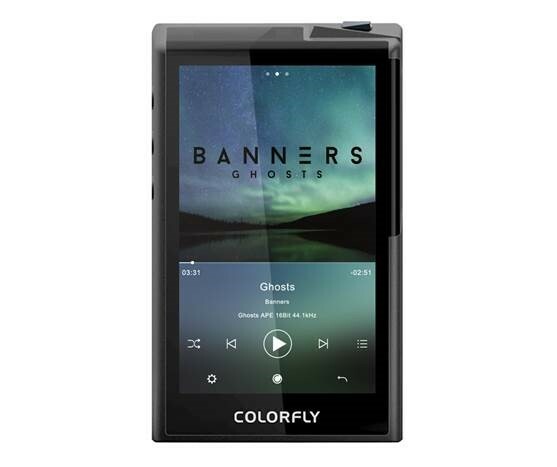 The COLORFLY Pocket HiFi U8 portable media player features a 3.97” WVGA IPS touchscreen to control the device and features COLORFLY’s unique, in-house developed DAC. Two COLORFLY Alpha DACs alongside AMPT and JitterKill II technology allow the COLORFLY Pocket HiFi U8 to bring crisp and lively audio. For conventional use of 22.5792MHz, 24.576MHz dual crystal, even ultra-low jitter and phase noise - 0.2PS have also affected the data reduction. In order to eliminate jitter and phase noise, we use 45.1584MHz, 49.152MHz high frequency crystal and also special custom DE-JITTER chip, to achieve "zero jitter" frequency.